Some news from the Birmingham Botanical Gardens: Firstly, when you visit the Gardens you will notice that the Loudon Terrace has been planted up recently. 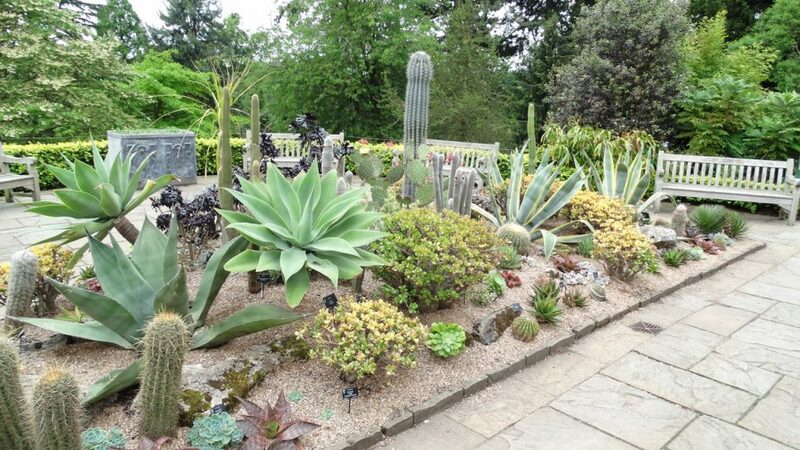 The arid bed looks splendid now, and it includes the Pachycereus pringlei which outgrew its position in the Arid House at Winterbourne Gardens. Taking it down was a major undertaking; the top of the plant was saved, potted up and re-rooted – and it now has a new home. Originally it came from Ian Thwaites, who donated the plant to Winterbourne. Meanwhile, the flower stalk of Agave salmiana grew to 3.63 metres tall. A good 1,000 flowers are starting to open now, dripping with nectar. 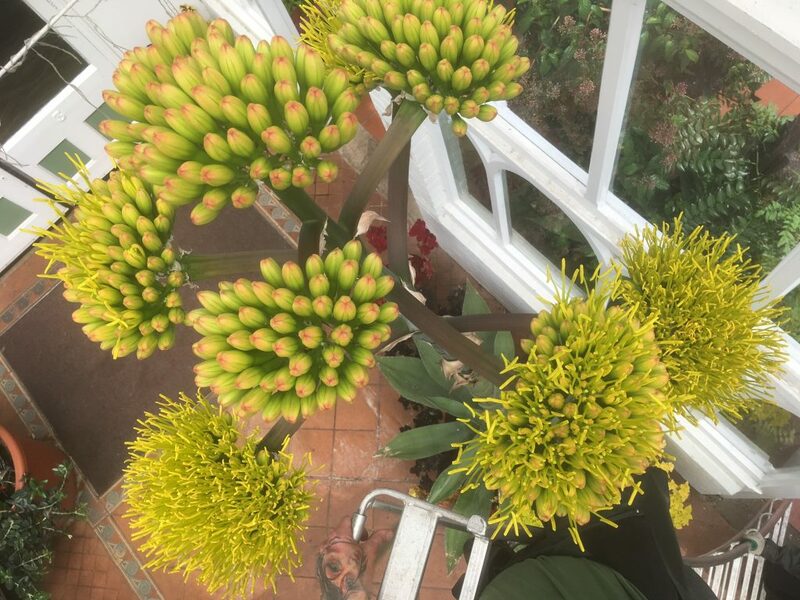 Their scent apparently might remind you of either smokey bacon or sweaty socks – to sample it you’ll find the agave in the Barrel Arch, between the Mediterranean House and the Arid House. 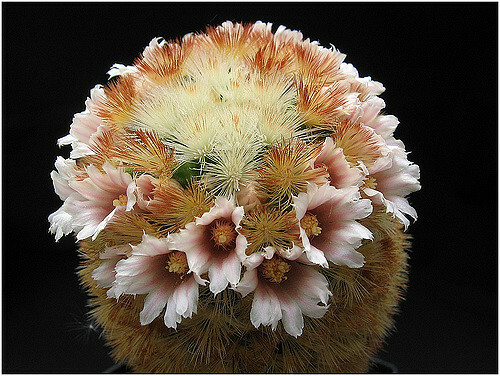 This month we are looking at cactus plants from the genus Mammillaria – firm favourites amongst cactus growers, and it is their flowering season now – have a look at the fantastic specimen in the Winterbourne Arid House. 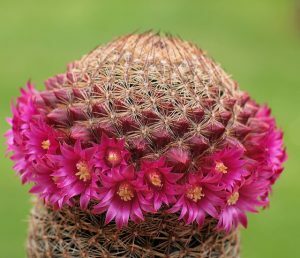 Our speaker is Tony Roberts, a good friend to the branch and expert grower not only of Gasterias and small Opuntias, but also Mammillarias! His talk is this coming Tuesday, 16 May. All welcome. We are looking forward to Dorothy Minors’ talk with this title on Tuesday, 18 April, usual time and place. Do come along if you can! This month we are very lucky to have Andy Young introducing us to Steven Hammer’s collection, also known as the Sphaeroid Institute. 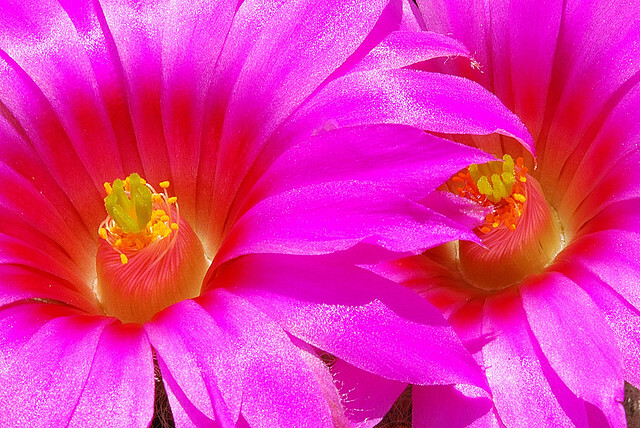 Both Andy and Steven Hammer are Mesemb specialists, and both have published widely on these plants. 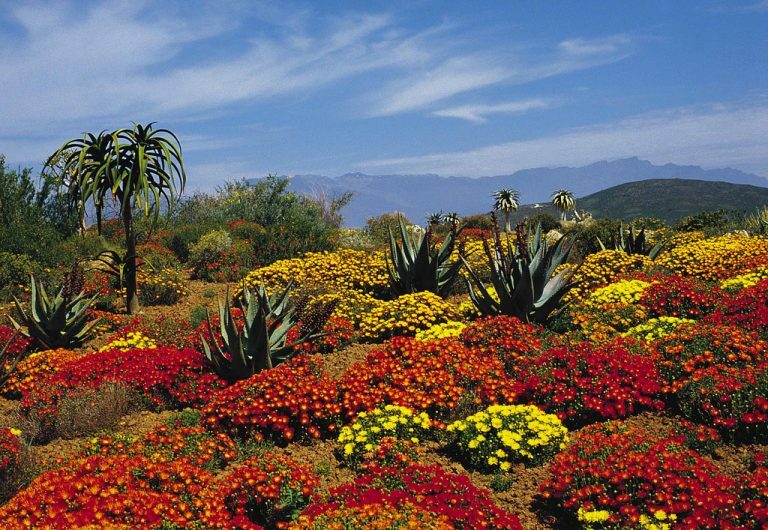 Both even have plants from the Aizoaceae family named after them: if you know Hammeria gracilis – this is named after Steven. 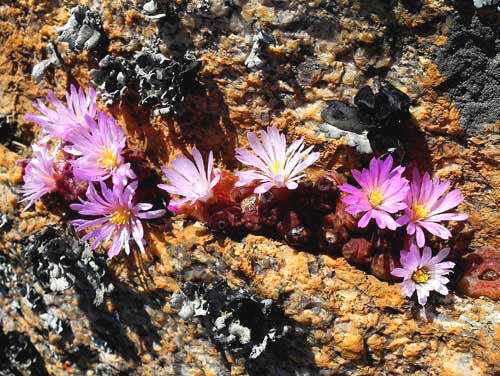 And recently described Conophytum youngii is named after Andy. 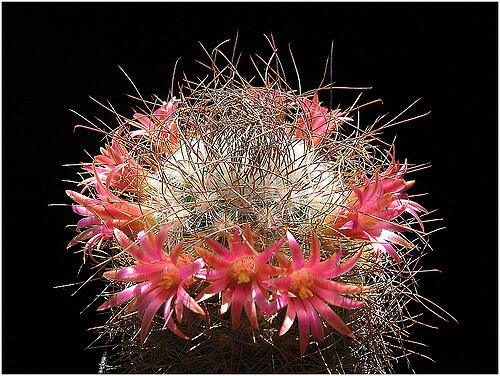 Steven Hammer’s collection extends much beyond Mesembs, encompassing Haworthia and South African succulents more widely. For a little taster see this entry from a different blog. There is also that set of images on Flickr that we have linked to above (you can click through the images from this page) – showing the collection and the master himself. We meet this coming Tuesday, 21 March, usual place and time. Do come along! 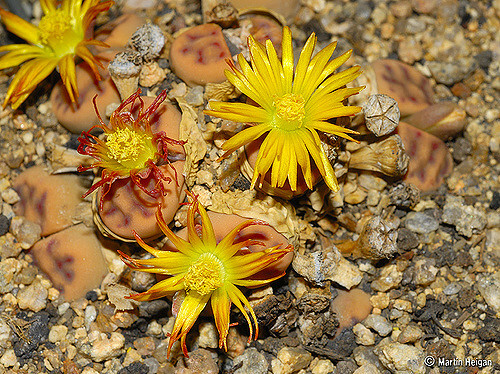 We are delighted to have Roy Earle introducing us to the growing of Lithops. 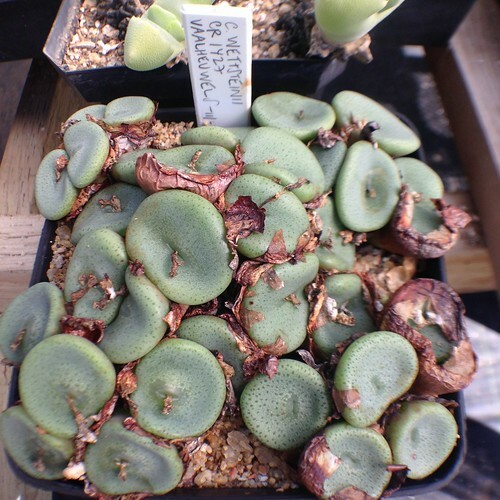 If you fancy learning how to raise Lithops from seed and to keep maturing plants in good condition, this is the talk for your. Usual time and place – this coming Tuesday. Just a quick reminder that the frst of this year’s talks will be this coming Tuesday, 7.30pm at our regular meeting venue at Winterbourne. Do come along if you can! The new branch programme for 2017 is now online – we hope to see you to some of our meetings this year! 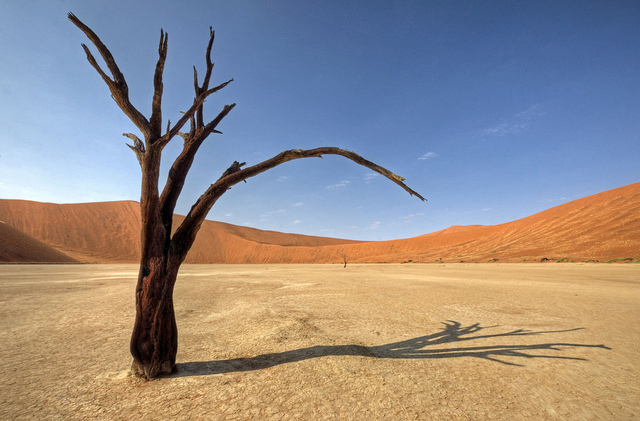 We shall start off the new year with a talk from the slide library – a set compiled by Sonia Barker-Fricker on plants of the genus Dudleya. 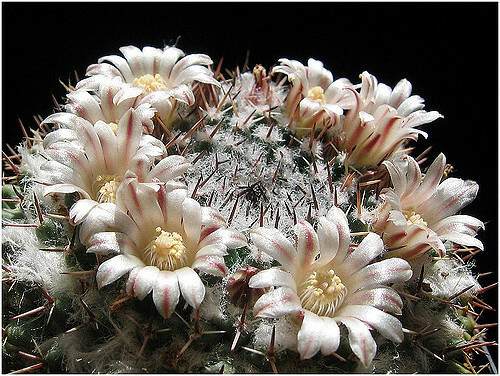 These are new world succulents, and many species have leaves covered in a white powdery substance. Only a few are grown more widely – but this talk will introduce us to many of the Dudleya species known. We meet as before in the Horticultural Training Centre at Winterbourne House right by the University of Birmingham campus in Edgbaston, every third Tuesday of the month, at 7pm for a 7.30pm start. The talk on Dudleya will be on 17 January – all welcome! The programme for 2017 is complete and will be online within the next week or so. 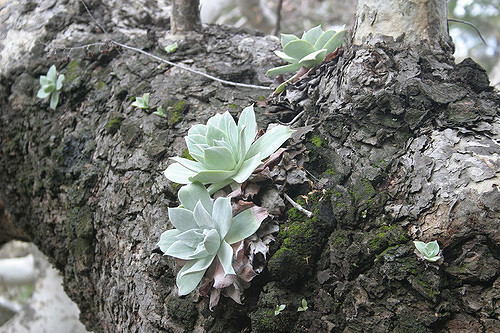 We shall start off with the talk on Dudleya (see previous posting). 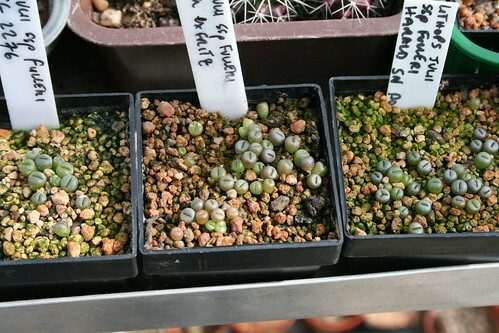 Then in February Roy Earle will tell us more about raising and keeping Lithops – something we touched on a little at his last talk, but given the interest in practical cultivation and propagation techniques we thought this topic would merit a more in-depth talk and demonstration. And in March we are looking forward to welcoming Andrew Young with an account of a visit to the collection of the American specialist Steven Hammer. Details on all the other talks will follow nearer the time, and the schedule of talks for the entire year will be published shortly.